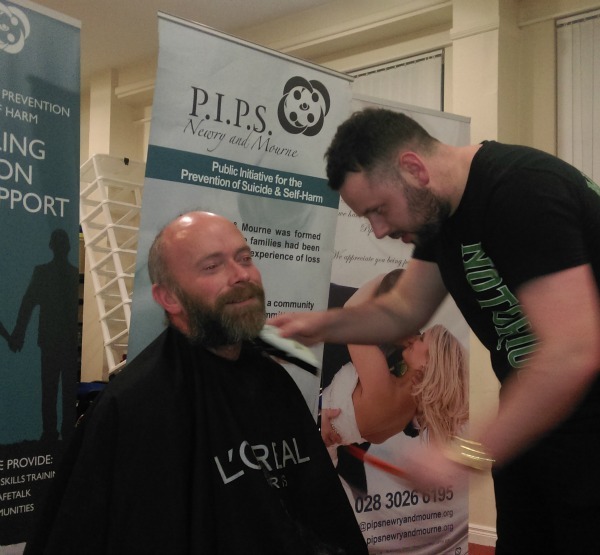 Gareth O,Brien smashed his Grow It Challenge by raising a total of £3000 pounds by not shaving his hair and beard for 10 whole weeks. Gareth has been over whelmed by the support he has received from his family, friends and Co-Workers he would like to thank each person who donated and who supported him while doing his challenge. Ten weeks later Gareth got his hair and beard all shaved off by Miceal White Owner of Reem Hair Boutique. Thank You Miceal, Gareth felt fresh and maybe a bit chilly with less hair to keep him warm.